June 27, 2018 – A sloppy four error third inning dropped the Victoria HarbourCats (10-11) below .500 for the first time since June 5th, and propelled the Walla Walla Sweets (13-8) to 9-7 win and series clinching victory at Borleske Stadium. For the second time in as many days the ‘Cats struck first, but weren’t able to hold onto the lead later in the game. Jason Willow got the HarbourCats on the board in the top half of the first with a RBI sac-fly to score Mike Malinchak. However, after a 1-2-3 bottom of the first, starting pitcher Owen Sharts ran into some trouble with the Sweets bats. Sharts would quickly collect the first out of the inning in the second, but proceeded to yield back to back singles to put Walla Walla ahead 2-1. Struggling with his command on the mound, Sharts’ defence in the field were not offering any help for their right hander. In the decisive bottom of the third, the HarbourCats would commit three errors in the inning, and allow the Sweets to score 7 times and chase Sharts from the game after 2 2/3. Looking for help from his bullpen to stop the bleeding, Head Coach Brian McRae tapped Po-Jui Huang for help. After giving up a wild pitch to bring the Sweets lead to 9-1, Huang was able to escape the frame with catcher Matt Clayton throwing out Ryan Johnston attempting to swipe second base. Despite owning a 2.34 ERA going into his fourth start of the season tonight, Sharts would give up 7 hits and 9 runs, only 2 earned, in his first loss of the season. Sweets starter Tyson Quolas produced 3 quality innings of one hit and one run ball, and reliever Brayde Hirai would hold the HarbourCats to one run on five hits in three innings pitched out of the bullpen. Victoria got on the board again in the sixth courtesy of a solo shot from Cade Brown, the University of San Diego product’s second homer on the season climbed the HarbourCats to within seven at 9-2. 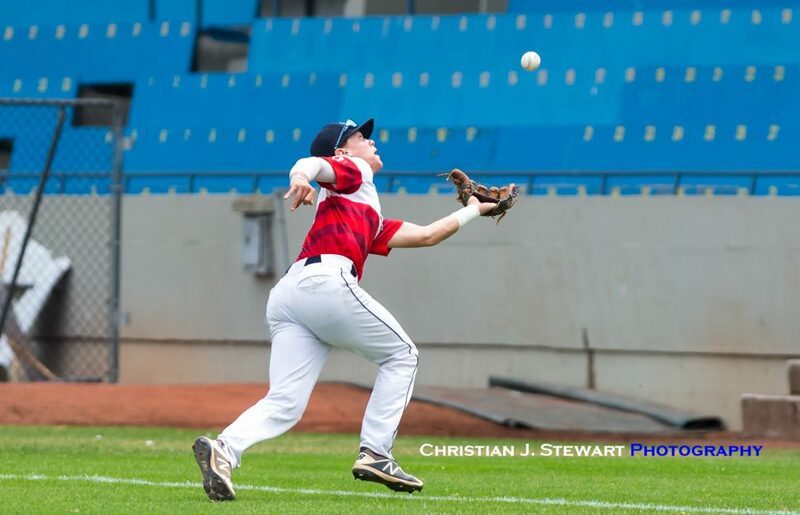 Attempting to stage a late rally, and rekindle the magic from a comeback in game one of the series, the HarbourCats started to muster some offence in the games final three frames. Tanner Haney smacked a two-run RBI double in the eight to get Victoria within 5, and Brown would collect his second and third RBI of the night in the ninth with a double of his own to level the score at 9-6. After Jack Smith scored Brown with a RBI single in the next at-bat, to make it a 9-7 game, it seemed as if the HarbourCats had a fighting chance to come back and win the series. However, Manager Frank Mutz decided to stick with his closer Carson Woolery, and the Caldwell, ID native didn’t disappoint. The righty would get pinch hitter Silas Grinstead to strikeout swinging immediately after Smith’s RBI to secure the Sweets 13th victory of the season, and halt the ‘Cats comeback attempt. The loss put the HarbourCats into third place, and a distant 5 games behind division leading Bellingham Bells. While the Sweets catapulted into first in the WCL South with the victory. Victoria will return home for a three-game Canada Day Weekend Series against the Kelowna Falcons starting Friday night at 6:35 at Wilson’s Group Stadium at Royal Athletic Park. The ‘Cats took two of three from Kelowna in early June, and will look to gain some traction before the First Half Pennant race concludes on July 4th. Tickets are still available for the weekend set, and Saturday June 30 is the second fireworks day of the season sponsored by Eagle Wing Tours. 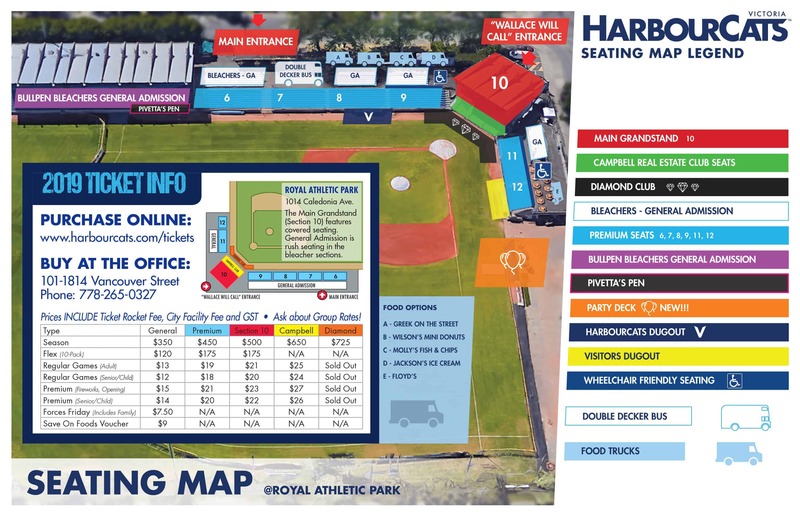 For tickets visit the HarbourCats office on Vancouver St., or buy tickets online.